We are a full service plumber specializing in keeping your water flowing and draining in and out of your home or business at a fraction of the cost of the "TV plumbers". Whether you need your water back on right now, or you want to update your bathroom fixtures in the near future, we have the products and services to meet your needs. We work on a "quote first" basis, so you know what you are getting and what you are paying before we start work. Our services are competitively priced and you can pay by cash, check, or credit card! 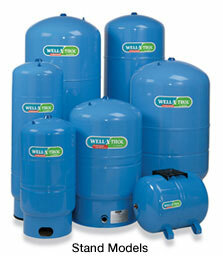 Same Day Well Service featuring Lancaster well pumps that come with a free 5 year warranty ! Mention that you learned about this service on this website and recieve $50 off our already affordably priced well pump replacement service. 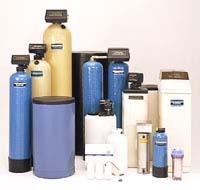 Same Day Water Heater repairs or replacements featuring Bradford White water heaters with warranties ranging from 6 years to a lifetime on the tank ! Mention that you learned about this service on this website and recieve $30 off our already affordably priced water heater replacement service. Same Day Drain cleaning service for kitchens and main drains ! Same day major leak repairs to keep your water running...and not where it's not supposed to be running !! From a measly pinhole leak in a copper pipe to a major pipe burst, don't let leaks go unattended, or you may be in for more than just a plumbing repair! And of course, small drains, faucets, toilets, disposals, sump pumps, well tanks, water conditioners, copper pipe replacements, bathroom and kitchen renovations, new bathrooms, and whole system design and installation services, etc....whatever your plumbing needs are, rely on Greg C Fryfogle Plumbing & Heating for all your plumbing needs.